It was a bit long winded. The story was not what I expected. That the supervillain simply be mad is not the way I would have gone. I'd like to give a shout out to the narrator, Mr. Brick. I love this guy! 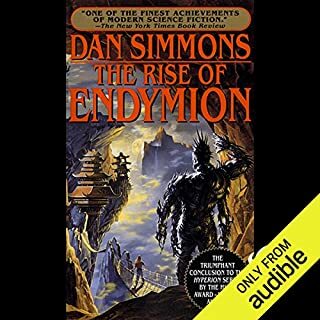 In the stunning continuation of the epic adventure begun in Hyperion, Simmons returns us to a far future resplendent with drama and invention. On the world of Hyperion, the mysterious Time Tombs are opening. And the secrets they contain mean that nothing - nothing anywhere in the universe - will ever be the same. I loved the story! 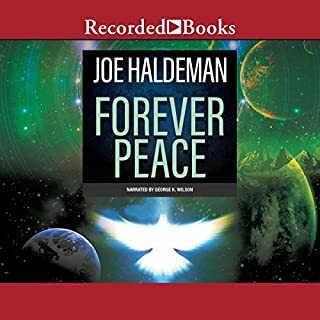 It was my favorite of the three books. Things were nicely tied together. Of course, I know that franchises never end but there is a respite. Human evolution fascinates me as does diversity. It is part prophesy but mostly graceful prose. She speaks of consequence beyond reckoning. Still, we ignore the changing world around us. War in the 21st century is fought by "soldierboys". Remote-controlled mechanical monsters, they are run by human soldiers who hard-wire their brains together to form each unit. Julian is one of these dedicated soldiers, until he inadvertently kills a young boy. Now he struggles to understand how this has changed his mind. To quote Mr Mackey from South Park, " War is Bad." I cannot dis a two time Hugo winner. I just expected more.The resolution of our aggresive nature seemed much too simplistic. 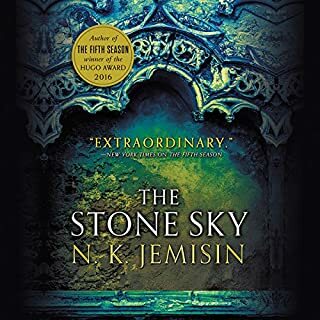 Kuni Garu, now known as Emperor Ragin, runs the archipelago kingdom of Dara but struggles to maintain progress while serving the demands of the people and his vision. Then an unexpected invading force from the Lyucu Empire in the far distant west comes to the shores of Dara - and chaos results. 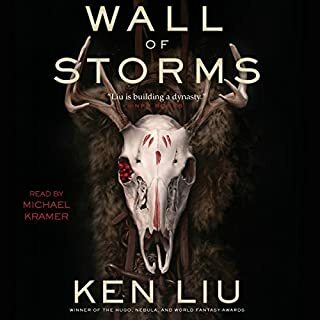 But Emperor Kuni cannot go and lead his kingdom against the threat himself with his recently healed empire fraying at the seams, so he sends the only people he trusts to be Dara's savvy and cunning hopes against the invincible invaders: his children. It is the way of power to seduce. Few can resist it. I loved the ebbs and flows of fortune.I recoiled from the slaughter. Is the common man ever going to get a break. Liu's answer is that this has never been nor will it ever be . It isn’t easy to get a group of bestselling SF authors to write new stories for an anthology, but that’s what Elizabeth Anne Hull has done in this powerhouse book. 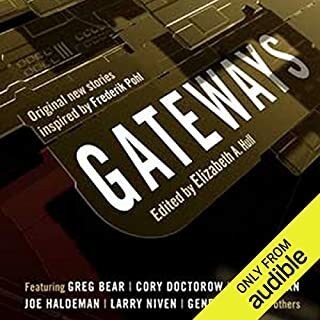 With original, captivating tales by Greg Bear, Gregory Benford, Ben Bova, David Brin, Cory Doctorow, Neil Gaiman, Joe Haldeman, Harry Harrison, Larry Niven, Vernor Vinge, Gene Wolfe, and others, Gateways is a SF event that will be a must-buy for SF readers of all tastes, from the traditional to the cutting edge; from the darkly serious to the laugh-out-loud funny. 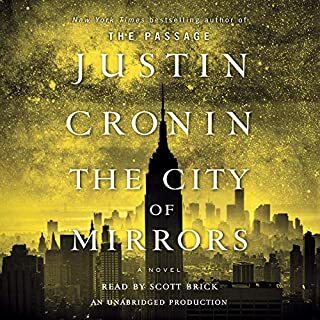 The authors are all accomplished and I've read novels by many of them but I did not care for this collection.Perhaps adjusting to each writer's style as I went story to story prevented my enjoying the underlying theme.